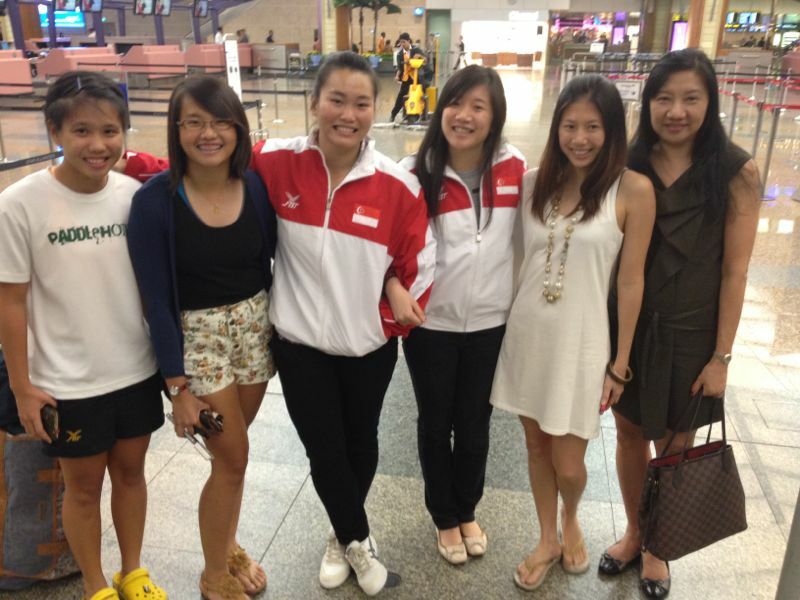 Wan Lay Chi, third from the left and to her left, Ms. Lee Yan Lin with friends and family sending them off. Last year SEA Games women shot put silver medalist has received an invite by the Korean Association of Athletics Federations (KAAF) to the 2012 Mokpo International Invitation Throwing Meeting. She will be accompanied by SAA Chairperson for Women’s Committee Ms Lee Yan Lin. Their flight departed from Changi Airport to Korea yesterday night.